The derby is still giallorosso! 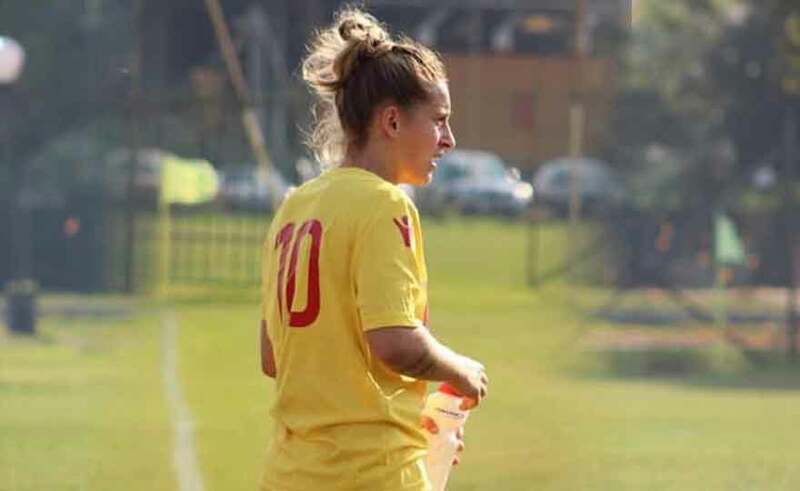 Double the Montecucco and Ravenna Women FC rejoices! The women's derby of Romagna ends on the first leg, with the victory of Ravenna Women FC on the Castelvecchio. The team of Mr. Piras is able to overturn a game that had prematurely hurt prematurely at the 5 'minute of the first half thanks to a double by Arianna Montecucco, match winner and "woman derby". A very hard-fought match at the "Vecchio Comunale" in Savignano, with the rivals in the field that no decisive action was spared. Ravenna is the first team to move forward: just two minutes from the whistle that Cimatti worries Pacini on assists of Montecucco. However, they are the landlords to promptly unblock the result on the fifth lap of the clock on a set-piece: free-kick from Petralia that bag behind Copetti. The Giallorossi accuse the blow and suffer the enthusiasm of Castelvecchio, who still with Petralia and then with Porcarelli manages to make himself dangerous but without realizing. For the guests Cameron tries to push the companions forward, but Rossi's team closes every gap. At the 29 'still flash of Cameron, but his cross-shot bounces on the bottom. At the 32 'chills for the home crowd: corner for the Ravenna Women, Carrozzi from the flag puts in the middle, Pacini intercepts and does not hold, but Cimatti and companions fail to take advantage of the confusion in the opposing area. At 38 'clear chance for the Ravenna with Cameron: Barbaresi's free kick, Beleffi tries to sweep away, but makes an involuntary assist to the number 13 Giallorossi that calibrates the shot badly. The first portion of the game ends with a conclusion without too many ambitions of Nagni, which ends high over the crossbar without engaging Copetti. At the restart of the game, the girls of Mr. Piras manage to overturn the race after twenty minutes of battle in which the teams have decided to neutralize each other rather than create opportunities. At 71 'Cimatti wins a precious penalty from the limit from which the draw is born guest: Montecucco is presented on the disk and impeccably achieves the network that reopens the match. Snapshot of the self-esteem of the Ravenna Women, which, corroborated by the draw, pushes forward in search of the net of the advantage, which comes ten minutes from the end again with Montecucco: the number 10 scores the personal double taking advantage of a mess of defense bianconera, scared by his insistent pressing. To no avail the final forcing of Cesena wounds in pride: the bolt of Ravenna Women is not scratched and the triple whistle is celebrated for the second victory of the second round. The Ravenna Women thus rises to 27 points in the standings and is preparing to host Arezzo next Sunday at the "Soprani" before the break of the championship for the National team.